SharePoint is one of the fastest growing products from Microsoft, with Gartner estimating that over 50% of the companies in the world have implemented SharePoint in their organization. It is not only proving very useful as a file repository, but is increasingly being used as THE corporate portal in many companies and as an important way for employees to collaborate and interact with various business processes within the company. SAP ERP is one of the largest business applications today and a vast majority of Global 2000 companies use SAP ERP as their system of record for most key business processes — accounting, finance, sales, manufacturing, human resources, etc. With the best business-practices embedded in these applications, companies that have implemented SAP run more efficiently have been shown to be more profitable than their peers who have not. SAP customers face common challenges related to the complexity of the screens and around employee and partner enablement, and integrating SharePoint with SAP can alleviate these challenges. Microsoft and SAP, themselves, realize the value of this integration and therefore have recently launched a new product, Duet Enterprise, to make this integration somewhat easier. All current approaches to integrating SharePoint and SAP are programming intensive approaches. These approaches require a significant investment of time and resources to build even one simple scenario. 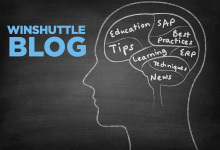 In the next few blogs, I will introduce the Winshuttle way to integrate Sharepoint and SAP which does not require any programming — neither ABAP nor .Net or Java. I will also give examples of a few sample scenarios that are enabled by such SharePoint and SAP integration.